Women, by far, feel more stress than men when it comes to hair loss. Our hair is a big part of what makes us feel beautiful. Anything you see on TV, on film, or in fashion magazines always features women with gorgeous hair. They are busy talking about what hair styling products they use, what hair styles are trending, etc. Yet, no one openly talks or goes into details about the idea of hair loss. This really surprises me when there are in fact over 40 million women desperately looking for products (i.e. best shampoo for thinning hair for women, conditioner, thickener, etc) or solutions to improve their Alopecia. How do I find the best shampoo for thinning hair for me? Next time you go to Target or any other drugstore, take a closer look at the labels of shampoos you see on the shelves. Many well-known brands such as Pantene, Garnier, and Herbal Essence contain a chemical compound called Sodium Laureth Sulfate (SLS) as a main ingredient. SLS can be easily found in everything from cleaning products for kitchen and floor to personal care products such as toothpaste, shampoo and soap. The reason for its popularity is the fact that SLS is very effective at cleaning and removing dirt and build-up. Also, it is cost-effective to produce; however, there are some downsides when it comes into contact with our bodies. For instance, it’s known to cause irritation to the eyes or skin. The negative effects of SLS to your hair is even worse. According to Dr. Mercola, when SLS is topically used on your scalp, it is directly absorbed into your skin and bloodstream without any filtering mechanism. This, as a result, causes further hair loss and makes hair thinning worse. Luckily, an increasing number of people are making more conscious choices toward the products they use, foods they eat, etc. Thanks to this trend, more companies are also introducing hair loss shampoos that are based on natural ingredients and less harsh chemicals. This is great news for people who are experiencing hair loss, because in order to promote a healthy follicle environment, we want to minimize negative effects by removing harmful chemicals while using natural ingredients that promote hair growth. A goal of natural shampoos is to prevent further hair thinning that may have been caused by harsh chemicals. Another type of hair growth shampoo designed for people with thinning hair focuses on a formulation of ingredients that give extra volume to your hair by increasing the density of each strand. 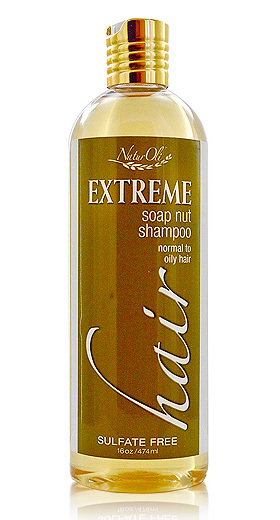 Brands such as Nioxin offer product lines specialized in this category (hair thickening shampoo lines). Rather than providing all natural ingredients, the brand gears towards adding technologies that create fuller looking hair. 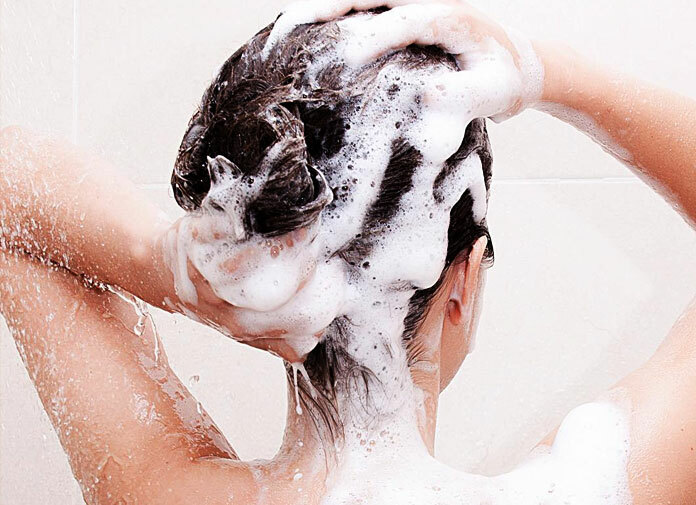 Based on those two criteria (use of all natural ingredients and hair thickening formula), we picked the top 5 shampoos that provide the greatest benefits to your thinning hair. Nioxin is like hair loss shampoo 101. Every hair loss forum or website has something to say about Nioxin. The brand was founded in 1987 by a woman name Eva Graham who was experiencing thinning hair upon childbirth. The brand has rapidly grown in the decades since and in 2008, P&G acquired the company. Since the acquisition, there have been numerous controversies questioning about the efficacy of the product since they have changed their ingredients multiple times. For instance, certain ingredients such as SLS were added to their hair thickening shampoo line, which has created some concern amongst customers. The company also added a number of trademarked formulas created from many years of research, which are designed to provide thicker looking hair as well as a healthy hair growth environment. Most users who have used Nioxin shampoos for at least several months agree on the fact that the product meets its promise by giving them fuller looking hair. Another great thing about Nioxin is that the brand provides customized solutions for different hair types. For people with thinning hair, you want to go with either system 2 or 3. Each system includes a cleanser (shampoo), scalp therapy (conditioner), and scalp treatment (leave in serum). System 2 or System 3? Nioxin system 2 is specifically designed to create fuller and thicker looking hair for people with fine hair types or those whose hair is noticeably thinning. The product highlights two trademarked technologies that make this thicker hair transformation possible: BioAMP and Activ-Renewal. BioAmp is used to increase the fullness of each strand of your hair and covers it with a special coating to streghthen hair shafts. The other formulation, Activ-Renewal, uses scalp cleansing natural oils such as white tea extract and peppermint oil to remove any residue buildup on the scalp. If you color your hair often and have fine or thinning hair, the Nioxin system 3 is designed for you. This system also includes BioAMP (see above paragraph) and a couple of additional formulated technologies (Glyco-Shielf and Transactive Delivery system) which basically promote a healthy scalp environment for color-treated hair. The name says it all. 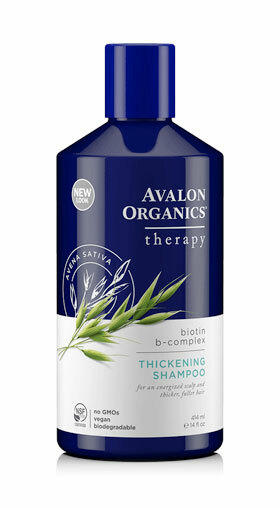 The brand Avalon dedicates all of its efforts toward providing a shampoo that both thickens your hair and also use many organic based ingredients including biotin, soy protein, saw palmetto extract, etc. The brand goes into detail explaining how each ingredient is carefully chosen to provide natural benefits to your hair. Many users agree on the fact that its gentle formula has improved their scalp irritation and provided thicker and healthier feeling hair. Feel free to check out the 1000+ reviews on Amazon. Clarification: We noticed quite a number of people submitting questions about some of the listed ingredients for that shampoo not being “organic” (specifically: sodium cocoyl sulfate, cocamidopropyl betaine, sodium cocoyl sarcosinate). But to clarify, those ingredients are not harsh chemicals that are known to cause skin irritation. The Avalon website emphasizes the fact that the Surfactants ingredients are from vegetable-derived compounds. They also added the fact that those ingredients have a larger structure for gentle cleaning of the scalp surface without any skin penetration. Actually, their recent product lines are more focused on organic ingredients. Their new shampoo still has some mild chemicals to provide more effective cleansing of your hair, but they removed all harsh chemical ingredients. 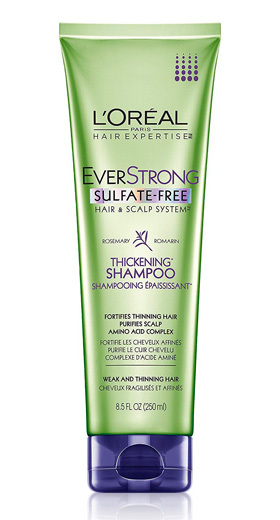 The EverStrong thickening shampoo promotes their patented technology called “Amino Acid Complex”, which combines with your existing hair strands to make them look thicker. The shampoo also added essential oils such as rosemary leaf, which is known to promote hair growth. For better results, properties such as saw palmetto extract (DHT inhibitor), lecithin, and caffeine (another scientifically proven ingredient for promoting hair growth) are added as the main active ingredients. 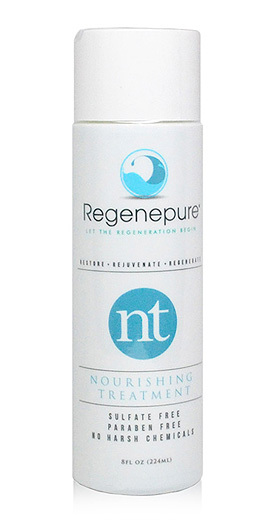 The Regenepure NT shampoo also includes emu oil that is known for promoting frontal hair regrowth when applied topically on the scalp, according to MPS Research. NaturOli is a newer kid on the block in the all-natural department. The Soap Nuts Natural Shampoo by NaturOil is all about Ayurvedic ingredients. In case, you are not familiar with Ayuvedic treatments, it is a traditional medicinal practice from India. Ayuvedic methods have been used to heal many illnesses and chronic diseases. This alternative natural medicine also covers in detail the causes of hair loss, along with herbal ingredients you can use to prevent thinning hair. The NaturOli shampoo is the direct result of these healing practices. What shampoo fits your needs? We covered a variety of products and tips for choosing the best shampoo for thinning hair in this article: three factors to consider for maintaining a healthy scalp, comparison charts and ratings, and finally our top 5 recommendations for shampoos to help prevent hair loss. If you’re still not sure, try the shampoo from Avalon Organics (Natural/Gentle formula + Additional benefit of thickening hair) or NaturOli shampoo (Ancient Ayurvedic hair re-growth herbal ingredients in one bottle).